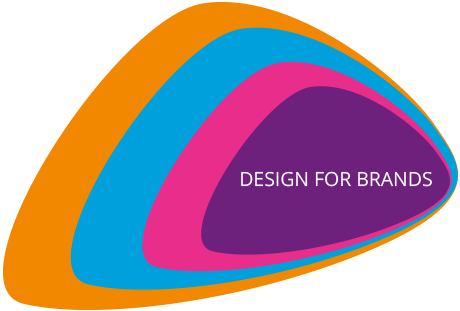 Tuch design is an established multi-disciplinary creative agency, providing innovative, inspirational and affordable solutions for your brand. Tuch have designed a new identity for the Berkshire Show 2018, moving on from the ‘Festival of Farming, Food and Fun’ branding from 2017 to include icons for some of the attractions at this popular annual countryside show. ..
What connects Terry Pratchett and Kenneth Graham, and what did the author of Robinson Crusoe and the funder of the Bank of England get up to? 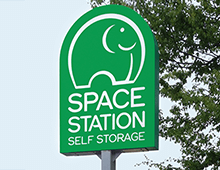 ..
Next time you approach west London on the M4 – watch out for the elephant! 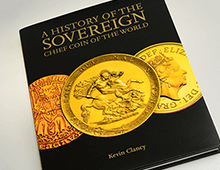 ..
2017 was the 200th anniversary of the reintroduction of the gold sovereign, with the classic St George and the dragon design. 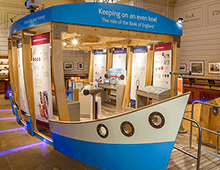 ..
To coincide with the launch of the new polymer £5 note, Tuch have redesigned the Banknote gallery at the Bank of England Museum. ..
Ahoy there! We have moored our boat bang in the centre of John Soane’s wonderful Stock Office at the Bank of England museum, and we welcome you aboard! ..
We love working with unusual techniques, print processes and special materials to produce quality printed material which stands out from the crowd. ..
You cannot be ambiguous when presenting facts or getting your message across. Your words, type, symbols and colours all need to work hard so that the reader doesn’t have to. ..
Whilst sorting through files during our end of year tidy we came across this clip from 2009, still relevant. Originally created in flash we have exported it as a movie for your pleasure… enjoy! ..
As part of our design work for the Aviva induction pack, which was sent to all new recruits, we produced these short animated typographic videos to portray the Spirit of Aviva. ..
Tuch were commissioned by Royal Mint Museum to develop their first website following their accreditation. The site will eventually allow their entire collection to be searched and viewed online. ..